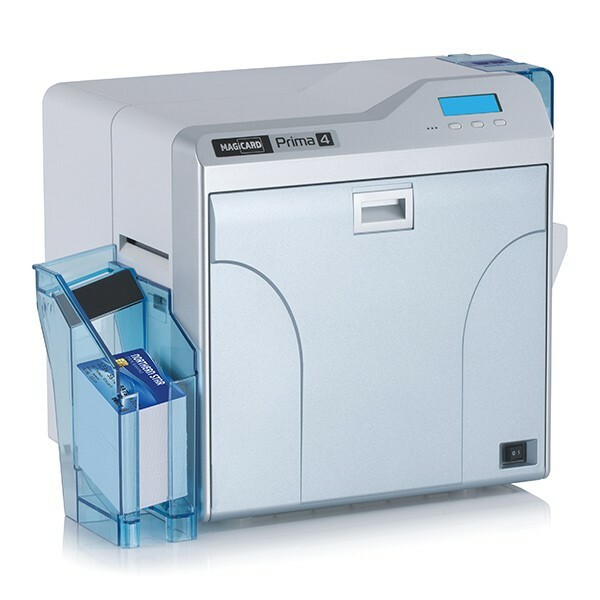 Magicard Prima 4 | Card Printer | Esskay Technologys Pvt. Ltd. The Magicard Prima 4 secures card issuance with a combination of inline and post-printing options. Ultraviolet (UV) images or text, printed inline, can be augmented with overlaminates for added durability and security – including standard and customized holographic options. A logical printer lock is fitted as standard.Using a reverse-transfer printing process, images are first printed onto a thin film then heat transferred onto the card surface. This produces a high resolution glossy image, printed right over the edge of the card. Software drivers Windows 2000 / XP / VISTA / 2003 Server / 2008 Server / Windows 7 / Server 2012 /Windows 8. NOTE: This driver operates with 32 bit and 64 bit Windows.